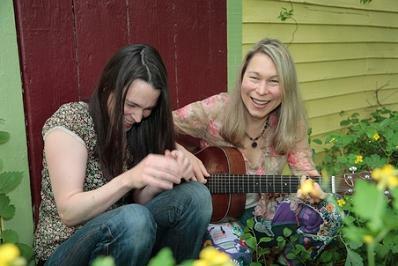 Based in Northampton, MA, the Nields are a sometimes folk duo of Nerissa Nields and her younger sister Katryna, and sometimes folk-pop quintet with David Nields (husband of Nerissa; he took her last name) on guitar, Dave Chalfant (husband of Katryna) on bass, and drummer Dave Howar. 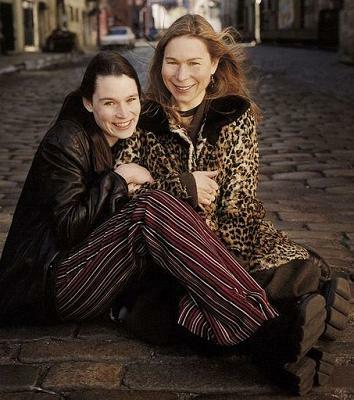 The sisters, raised by folkie parents in New York, were always singing during family car trips, and have been on the coffeehouse circuit since 1991. The addition of David Nields (nee Jones) made them a trio. After two self-produced albums, the other two Daves joined, and they became a band, signing with the Razor & Tie label in 1995. Eventually signing with Guardian in 1997, they released the album Gotta Get Over Greta, produced by Kevin Moloney, and were ready to taste stardom, when the record label folded. But albums kept coming, as did a return to duo status from time to time. The sisters most recently made All Together Singing in the Kitchen and Sister Holler both produced by Chalfant, in 2007. 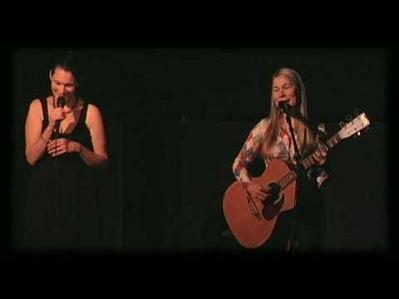 Nerissa and Katryna still tour regularly, and celebrated their 20th anniversary in June 2011 with their “Jam For The Fans”, at Northampton’s Iron Horse.